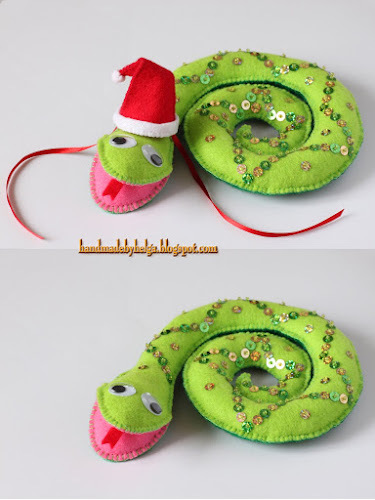 2013 is the Year of the Snake according to Chinese zodiac. Chinese New Year falls on February 10 this year. 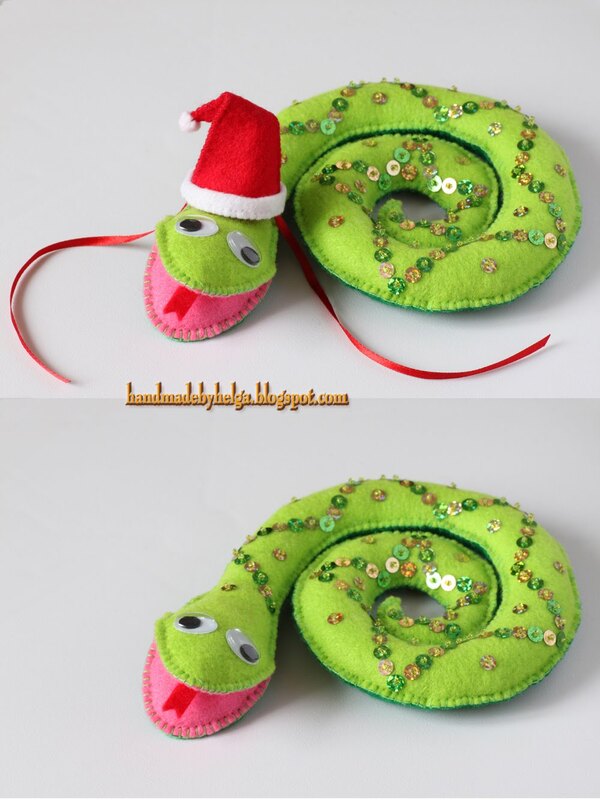 I made snake from felt and entirely hand stitched with embroidery thread and decorated with beads and paillettes. It fine gift for Chinese New Year 2013. It also could be present to a person borned in a year of the Snake. This toy has a Santa’s hat. The hat has two ribbons, so it could be taken off. The snake doesn't contain a wire in it and it doesn't straighten in full length. This toy looks well in an interior.